Welcome to the location finder of Kerala Tourism. Here you can find places and locations in Kerala with distance from the nearest town and route map. Around 22,000 places have been listed in the service. You can find a place by using the search facility or through alphabetical listing. The location finder is based on the book "Routes and Locations in Kerala", a travel directory prepared by Kottayam Baburaj. 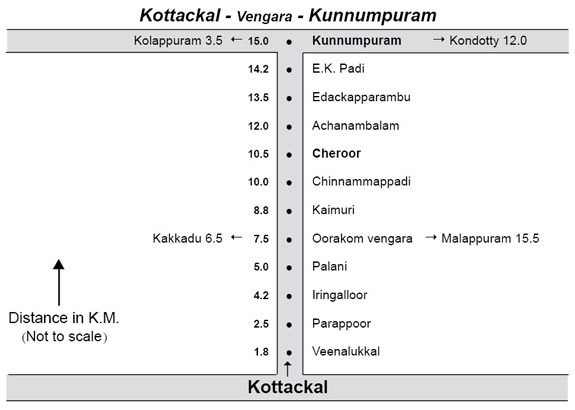 Kolappuram 3.5 km. Karippoor route.